US-based monitoring group Human Rights Watch (HRW) said the arrest of Turkish nationals in Kosovo showed a callous disregard for human rights and rule of law. According to New York Times and Balkan Insight online newspaper on Friday, HRW said Kosovo showed disregard for human rights with such decision. 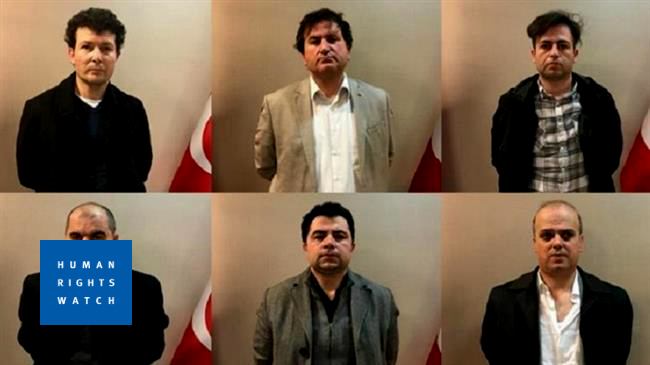 HRW’s statement came on the heels of statements by Kosovar PM and President as well as Turkish President Recep Tayyip Erdogan who all confirmed that 6 Gulenists were extradited to Turkey. However, sources said Friday that the group is still in Kosovo, either being held at Pristina airport or at the Turkish Embassy in Kosovo. Family members of the abductees flocked to both places, seeking news from their loves ones.